Nuovi giochi App Store: ‘DUAL!’, ‘Marvel Mighty Heroes’, ‘A Day In The Woods’, ‘CivCrafter’, ‘Crowntakers’ e molto altro! Salve ragazzi, qualcuno di voi sarà sicuramente “sopravvissuto” (si spera!) 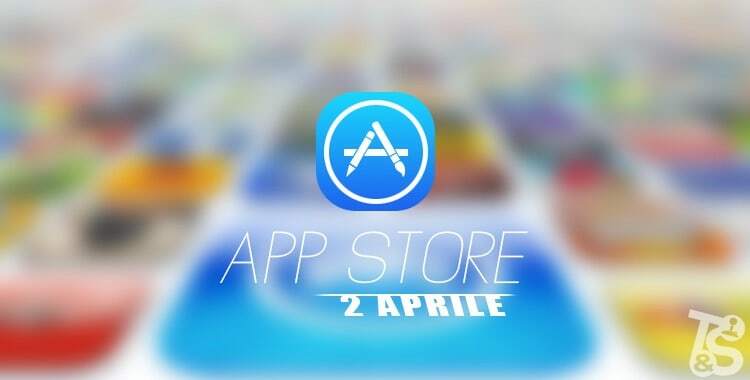 al Pesce d’Aprile di ieri, per cui torniamo al nostro aggiornamento settimanale, il primo giovedì di aprile che vede l’arrivo di un bel numero di nuovi giochi App Store. Questa settimana i giochi sono più numerosi rispetto alle ultime volte, per cui sono fiducioso che tra tutti questi ce ne sta qualcuno che merita di essere provato. Sneak past the big bad wolf, avoid massive spiders and distract bears to solve each level and get Little Red Riding Hood safely to Granny’s house. In A Day in the Woods – a stylish re-imagining of the traditional sliding puzzle game – you plays as Little Red Riding Hood’s wispy winged sprite friend. By moving tiles around each board, you’ll help Little Miss Red avoid scary woodland creatures while collecting flowers and berries along the way. There’ll be some friends to help you too, including bunny rabbits, beehives and the local woodcutter. 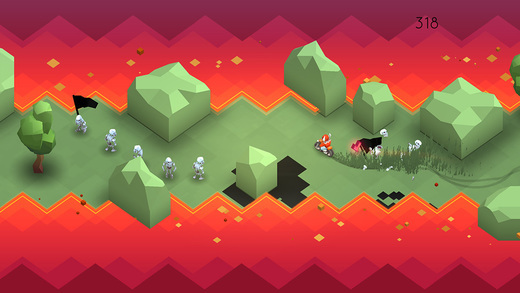 Looking for a new twist in an Endless Runner? Above the Abyss is your game! Test your skills and solve tricks in order to reach the next platform! Play as one of the Beasty Balls as you roll, jump and spin your way across stunning 3D environments. Swipe and Tap your way over and thru challenging obstacles in this fast and frenzied endless running game for iPad, iPad mini, iPhone & iPod touch. Do you have the skills to cross the Abyss? Unisci le forze e gioca con Garnet, Perla, Ametista e Steven per bloccare una potentissima arma Gemma in Attacco alla luce! Lancia i razzo-guanti di Garnet, evoca la Olo-Perla e aggredisci gli avversari con il Puma viola. A ogni Gemma corrispondono attacchi e potenziamenti esclusivi. Esplora grotte, combatti i cattivi, raccogli tesori super segreti e sali di livello! Riempi lo zainetto di Steven con ogni genere di oggetto magico per aiutarlo nel corso della missione. I comandi tocca e scorri rendono semplice regolare il livello di devastazione da infliggere. Ad ogni nuovo potere corrisponde una nuova meccanica tutta da padroneggiare. A whole new concept of platform game, show off your bouncing skills through 40 rooms full of moving structures, overheated electric resistances and jumps, many jumps. Gravity will be the judge, height and inertia your best allies, your skill and reflexes will dictate how fast you can go, good luck. 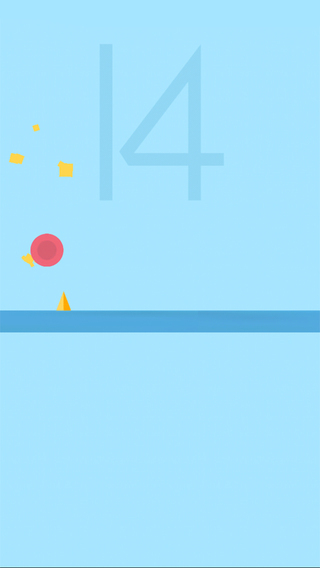 Boom Dots is a single-tap reaction game that will keep you hooked for hours! Tap to dash forward, and hit the moving dots. The game features 200 missions for you to complete, and 20 unlockable themes. 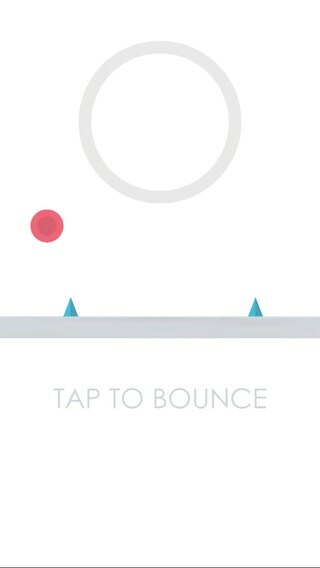 Bounce the ball and avoid touching the spikes. Collect floating power ups to change the game’s colors. Why cannot Poland into space? Why does Germoney have to wörk? When can France into surrender? Why is Spain still waiting for siesta? Why did Europe run out of money? Countryballs is the endless arcade runner, you have been waiting for. Crowntakers unisce elementi di strategia a turni e di GDR e, per volere della corona, ti trascina in un fantastico mondo medievale ricco di scontri impegnativi e avventure epiche. Grazie al suo mondo generato in modo casuale, Crowntakers ti offre un’esperienza di gioco diversa ogni volta che parti per affrontare il male. Nelle vesti di un eroe in missione, dovrai mettere insieme un gruppo di mercenari coraggiosi per affrontare crudeli nemici quali barbari, animali feroci o ladri astuti. Avventurati in missioni impegnative, raccogli risorse e, infine, scaccia il male dal mondo. Cube Koala is an intense puzzler where you play as a koala placed in a kafkaesque tesseract containing deadly traps. Guide our little hero through increasingly difficult levels, manipulate gravity and employ every skill you have learned to bounce through the level’s exit…just to appear in a new one. Enjoy your dragon ride with this action-packed beautiful flying game. You get a dragon to fly and powers to shoot and destroy the enemies. Your goal is to venture the enemy territories, collect the coins and diamonds, destroy the targets, complete the levels and earn Medals and Titles. Connect with your friends and challenge them to compete you in your adventure! 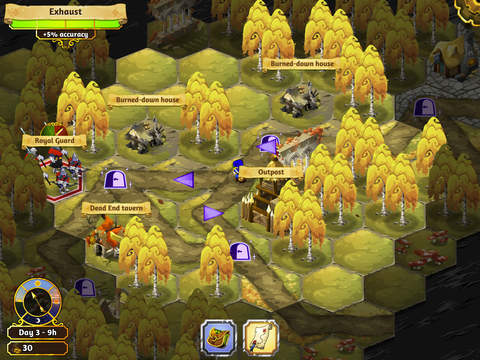 Each zone has Bronze, Silver and Gold medals to earn. On completion you earn the Titles, such as Knighthood and Lordship. Shatter the targets to earn extra, splash the river for more fun and acquire hammer and speed powers to help cross faster. DUAL is a local multiplayer game where two players use their mobile devices to shoot bullets from one screen to the other. It’s easy to pick up and play in both competitive and cooperative modes: DUEL and DEFEND. + Battle anywhere! Works with bluetooth and wifi. A lonely spaceship is trapped in a faraway planet. The only way to escape is to fight with the endless gravity and go to the sky. But the remain energy can only support it to fly in a short time. Can you make it? Will there be dangers above the ground? Feel the Rhythm. Dodge evil mushrooms. Give It Up. Already purchased the classic Give It Up? Get this FREE in the bundle. Give It Up: Easter Egg is a rather hard game where you have to assist the always happy and pink Easter Bunny in jumping and collecting Easter Eggs through 9 different tracks. However, you have to feel the rhythm of our friends’ frantic bounces with the help of the similarly crazy music. When you don’t tap just at the right time, poor Bunny.. well, smears. Waking up a sleepy cat is a bad idea! Especially the Guncat. Grab the weapon, take down all pesky birds and boost score until ammo runs out! Be sure to shoot down birds carrying ammo boxes or buy better guns in order to extend shooting experience. No matter what – don’t hit black crows or else… KA-BOOM!!! Combo system awards skilled players so getting 100% accuracy guarantees biggest scores. Play as Incendio, our hero, armed with your wits and a keg of gunpowder to liberate the town’s gold from the evil Boss Grimshaw in this explosive new puzzle game! 125 levels of puzzles and mind-bending mayhem await as you blaze a gunpowder trail across the Wild West. Save the day using flaming wagons, Gatling guns, chandeliers, cannons, mine carts, and more! Burn your way through each puzzle and crack the safe with a cleverly placed powder keg! Blow up all of Boss Grimshaw’s piggy banks and race the clock to compete with friends as you work your way toward freeing the people’s money from his greedy paws. But don’t underestimate Grimshaw’s trickery. He isn’t going to make this easy! The skeletons decided that they can leave the underground world. But it won’t happen! Brave and uncompromising Hellrider will teach the fugitives! Throw down the skeletons, avoid the lethal traps, destroy the agile bosses and compete with your friends! – Simple and pleasant to play by one touch! – 5 incredible zones filled with dangerous traps! Last Voyage is an adventure through space and mind in 5 unique chapters. 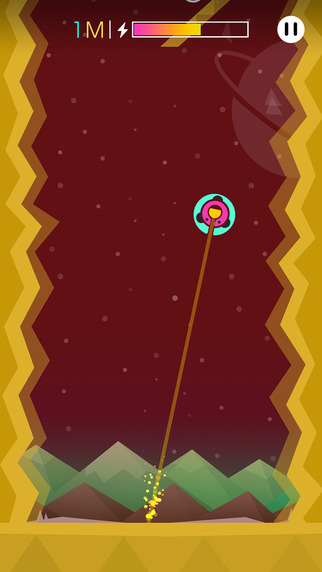 Go through psychedelic portals, solve mind-bending puzzles, explore grand minimal forms or race against the stars. A science-fiction experience unlike any other game. A cinematic game with stunning movie-like graphics, each chapter is visually unique and explores an original concept with completely new game mechanics. 40 minutes of original soundtrack to heighten your sense of wonder. The soundtrack features a variety of genres and has been tailored to every movement on the screen. Best experienced with headphones. 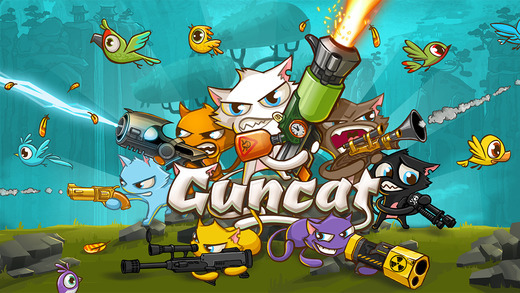 Platformer that combines the action-RPG genre with the hack ‘n’ slash gameplay. Magic Rampage features character customization, dozens of weapons to choose, from knives to magical staves. Each dungeon introduces the player to new obstacles, enemies and secret areas to explore. Bonus levels, Survival mode, friendly NPCs and Boss fights are also included. Magic Rampage brings back the look and feel from the very best classic platformers from the 90’s, introducing refreshed and engaging gameplay mechanics. If you miss platformers from the 16-bit era, and think games nowadays can’t be that good anymore, think twice. Magic Rampage is for you. It’s time to suit up and fight the forces of evil in this REAL-TIME 4-PLAYER CO-OP brawler! No true hero can ever do it alone, so you’ll be smashing and blasting with an all-star cast of Marvel Super Heroes like CAPTAIN AMERICA, IRON MAN, STAR-LORD, THE HULK, SPIDER-MAN, DR. STRANGE, THOR, BLACK WIDOW…and over one hundred MORE! The universe is under siege and it’s up to you to assemble the most powerful team of fighters you can find. Sometimes it’s good to be bad, so your favorite Marvel Super Villains are here too: VENOM, GREEN GOBLIN, KINGPIN, LOKI and many more are eager to head into battle. Play with them all! Phil The Pill is an immersive, surprising and mildly addicting action puzzle adventure game. Phil the Pill conjures the quality, fun and imagination of classic games like Bomberman, Pacman, Mario and more in a game mechanic designed from the ground up specifically for touch screens! Swipe, tap, punch, shoot and bomb your way through 96 levels of pure puzzle-action excellence! Players may experience fits of laughter, tears of joy, racing hearts, frustration and above all things, pure fun! A game about delivering pizza. In space. It’s time to fly. Beyond the doors of your struggling pizzeria. Beyond the neon-streaked skyline of the last great city. Beyond the stars themselves. Because there are hungry creatures out there in the cold expanse, waiting for a warm slice of Earth’s finest export. Dodge the worst the universe has to offer. Do it for the love of pizza. Do it for the tips. Do it because you are on time. Every time. Spacetime. Alza il volume e unisciti al gruppo — È arrivato il momento di giocare a ROCK ON! Metti alla prova le tue abilità sul meglio del rock in questo spin-off di SongPop, l’acclamatissimo gioco musicale. Parti per un’avventura nel fantastico mondo del Rock’n’Roll! Ascolta clip di successi rock e indovina il nome dell’artista o il titolo della canzone. Riscopri i successi in generi quali Classic Rock, Heavy Metal, Punk Rock, Pop Rock, Indie Rock e molto altro ancora. Supera ogni livello e diventa una leggenda del rock! Hey girls, hey boys, you can dance (if you want to) but just do what I tell you: tap tap tap! 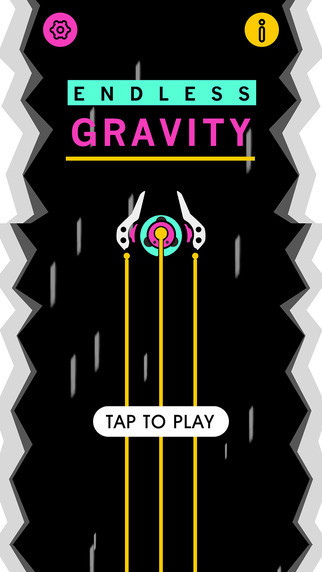 Tap and swipe and drag and drop and get the highest score in this musical action game by Bart Bonte / bontegames. Hop into a classic Game Boy inspired metroidvania adventure with the little treasure hunter Timmy! Explore a huge dungeon, collect hidden power-ups and gain new skills to aid you on your quest! Can Timmy survive the tiny dangerous dungeons, and find the presumably huge treasure? Based on the hit browser game, this extended edition contains adjustments and new content not seen in the original game, like a wider resolution, new game mode, more hidden upgrades to find, and completely new area to explore!